The p2 Pilates Studio in New Haven, CT offers Pilates exercises for better health and fitness. At the p2 Pilates Studio the goal is to treat every client as the unique and special individual they are. Recently, the studio has been renovated, and now includes a waiting area, a changing area and a restroom for your convenience. Location: Off Whitney Avenue in the Edgewood neighborhood of New Haven. 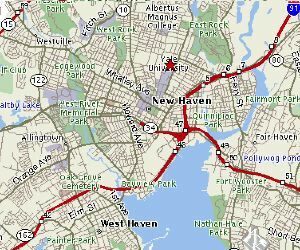 Easily accessible from I-91, Hamden and downtown New Haven. Parking: in front of the building. Address: call (203) 777-0767 for directions.